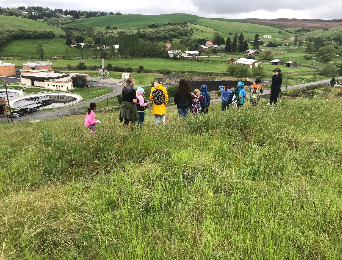 Claim 3: Palouse Prairie students make positive contributions to their community and world through environmental and social justice focused projects. 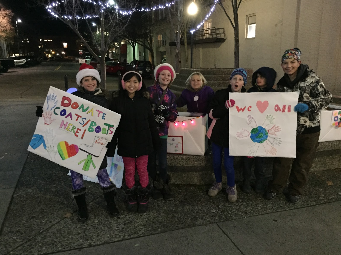 At Palouse Prairie School we believe that students can make a difference in our community and that their work can contribute to a larger purpose. The mission of Palouse Prairie states that we believe in a spirit of inquiry, a persistence towards excellence, a responsibility for learning, and an ethic of service. While our school was started with this mission in mind, it took an intentional focus and the use of the EL core practices in order for us to grow in this area over time to our current level of mastery. 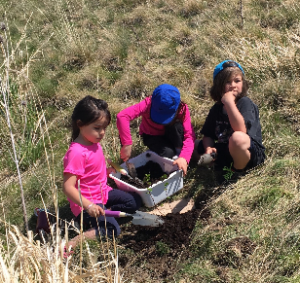 The Core Practice 7, Incorporating Fieldwork, Experts, and Service Learning, has specifically supported our school in ensuring that our “students use the natural world and social environments of their communities as sites for purposeful fieldwork and service connected to academic work. They collaborate with professional experts and community members with firsthand knowledge of events and issues to ensure accuracy, integrity, and quality in their work.” They collaborate with professional experts and community members with firsthand knowledge of events and issues to ensure accuracy, integrity, and quality in their work.” Through close reads of the core practices, teachers have improved their ability to plan and design meaningful fieldwork and service learning opportunities while ensuring students are prepared for these experiences as well. As we have grown in this area our school has selected and engaged with a wide range of experts who collaborate with our students and extend our network as a school community. As teachers have been able to refine and enhance the way we incorporate fieldwork and service learning our students have become more prepared for these opportunities, continuously growing in their capacity to engage with professionals in a courteous, responsible, and curious way to make their most of their learning. PPCS students now consistently demonstrate valuing all of these qualities stated in our mission. Their work goes beyond just service projects, and intentionally connects to their learning and enables students to realize that through deep learning and passion they are activists and can impact our community in positive ways. Our students know their work matters and this is supported in the way that they take their learning seriously. Palouse Prairie students know that they have a responsibility to one another and to the world around them. They know learning and serving are active processes and this is continuously fostered through careful planning by teachers, insightful work of students and a community that trusts and values the work of our students. Over time, as students progress through our school and their vast range of expedition and service based experiences, students are able to connect PPCS CREW traits to their learning and see the importance of their work in a more refined and sophisticated way. By the time students are in 8th grade at PPCS, they have had opportunities to learn about several community issues and address these issues through service and volunteerism. Through this, they have also practiced and learned the value of reflecting on their learning as well as their habits of scholarship and crew traits to help them make the most of these opportunities and learn about themselves. Through intentional reflection, our students know their work has value to themselves and the greater community. Students at our school are able to use their voices to compel others to care about and act on behalf of marginalized groups, endangered species, and basic human rights. Our school provides opportunities for students to develop their understanding of social and environmental justice through service learning and involvement in community projects. We are defining social and environmental justice as justice in terms of the distribution of wealth, opportunities, and privileges within a society, based on social or environmental factors. For example, we consider our study of racial inequality to be a study of a social justice issue. We consider our work toward providing all Moscow public school students access to green space an environmental and social justice issue. Awareness of social issues and a sense of activism around social justice begins with service experiences in our local community. 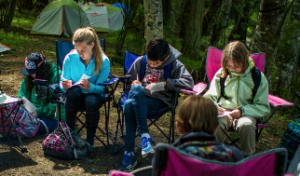 Our school has always emphasized connecting learning to the community, but in recent years we have more systematically engaged in service learning and have selected expedition topics that have a social or environmental justice connection. Our school has grown in both the amount of service learning and environmentally focused projects and also in the intentionality and depth of those projects over the years. In the 2015-16 school year six of our expeditions included a service learning component. In 2016-17, this increased to eight expeditions including a service learning component. 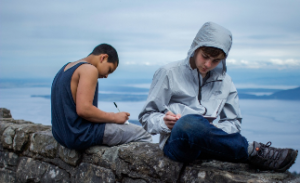 For the 2017-18 school year students at every grade level are adding depth to their learning through authentic service learning projects, many of which have a direct connection to local social and environmental justice issues. In addition, almost every student is participating in multiple service opportunities through the school year, meaning nearly every expedition at PPCS has a service component. 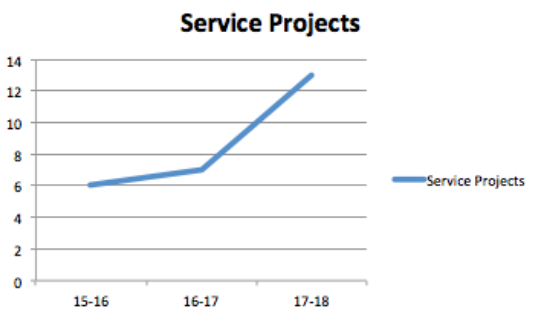 The following table shows a snapshot of service projects as incorporated into expeditions at every grade level. 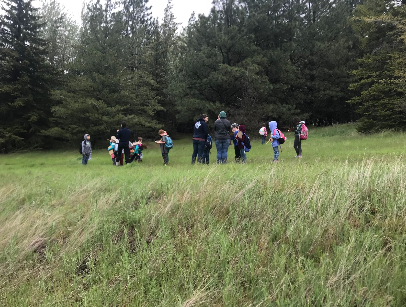 Our deep connection to the natural world supports and enhances the learning of all students, and provides our students with the beginnings of a direct and meaningful relationship with our local ecosystem. 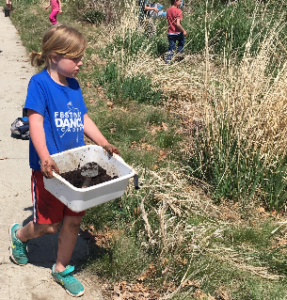 This relationship supports students as they become stewards of the earth, and our school provides multiple opportunities for students to learn about, care for, and clean up our planet. 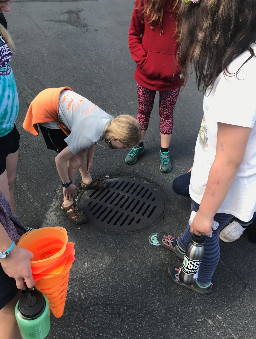 We are especially committed to providing our students opportunities to learn about the interaction between humans and the environment and the many ways we can be stewards of our earth. Kinder-gardeners plant plants to save the earth! Kindergarten students have traditionally learned about plants and gardening. In previous years they planted vegetables for their families and the school community. 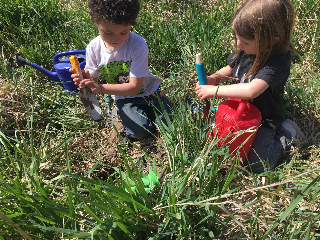 With a more service and community oriented focus, now kindergarten students learn about the importance of native plants to the environment. Through their expedition, they plant native trees and plants at our future school location in order to help our local ecosystems and provide more green space in the greater community. Students feel proud of their ability to help the natural world and all the students who will benefit from our new school. They felt inspired by learning the ways that living things depend upon one another and empowered by creating a guide to teach others about their plants. They demonstrated CREW traits by being responsible with tools, welcoming towards experts and volunteers, and courage in trying something new. In primary, the bird is the word! 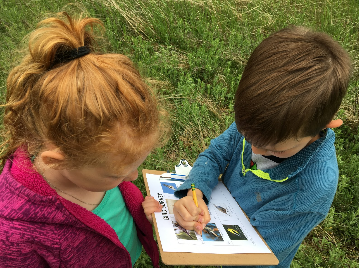 First and second grade students study local birds as they learn about the adaptations of living things. In the past, while students learned more about being scientists and gained an appreciation for our local ecosystems there was not a consistent service or authentic research element. 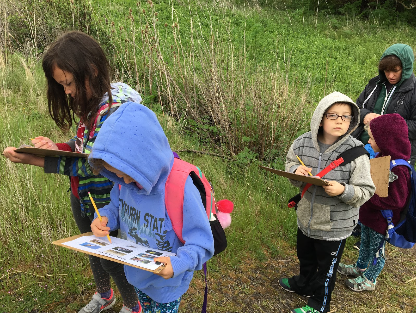 With a recent and intentional collaboration with a local environmental conservation organization, students are able to use their learning to take bird counts in order to collect data that will support the future development of a park. 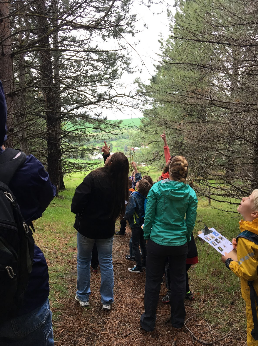 These students are learning the importance of local birds to our environment and are helping scientists and naturalists collect data that will help park developers plant and restore plant species that the local bird populations depend on in the Palouse ecosystem. Students recognize a direct correlation between learning data in math and how scientists use data. They are excited that an academic skill they have mastered is a skill they can utilize in a meaningful way. They were passionate about sharing their findings with the Phoenix Conservancy and can’t wait to continue to go back and track trends in data. 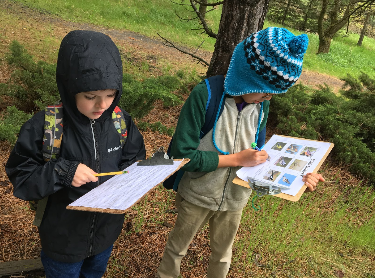 Students demonstrate the CREW traits of responsibility and empathy by staying focused and on task while bird watching in order to make sure they are accurate. Fifth graders give a voice to endangered animals! In their 6th mass extinction expedition, students study the importance of biodiversity and the human impacts on the environment. Students use their knowledge to give a voice to endangered species and share about different biomes. Students give a performance at a local theater to share their work with the community. The performance includes watercolor art of an endangered species accompanied by poems from the creature’s perspective. The performance concludes by suggesting actions that the public can take to be informed consumers and make better eco-friendly choices. Through the process of presenting to others and making a difference in the environment, students recognize the power and importance of revising their writing in order to make it more accurate and coherent. Students demonstrate courage in projecting their work and presenting in front of a large audience. Seventh graders have a whale of a time! 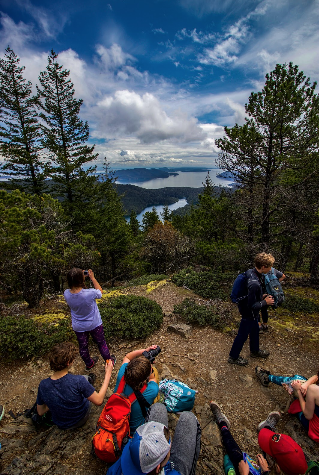 7th grade students embark on a journey to Orcas Island during their expedition that focuses on the recovery and cultural importance of the Southern Resident Killer Whales. Students learn about both the ecological and sociological importance of both orcas and Chinook salmon. 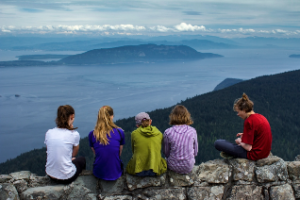 During their trip, students spend time on the water with orcas and work with local experts. Students’ artwork has been on display at the International Killer Whale Research Symposium with the hope to push conservation efforts forward as well as to share an indigenous perspective within wildlife management. Students learn the importance of examining multiple perspectives within an issue, sharing their voice through varied mediums, and the power of collaborating and being welcomed by professional organizations that value their work. Seventh graders demonstrate courage by engaging with their work on a week-long trip to a new place. First and second grade students, after learning about the power of literacy and that not everyone around the world has equal access to books, recognized that this might also be a problem in their own community. Students researched groups in the community that work with kids who may not otherwise have access to books and decided to host a book drive in order to share the joy reading. Students used the habit of scholarship, responsibility, by knowing the importance of reading and the joy of having a variety of books in order to learn to read. They connected this to the crew trait of empathy by recognizing they could help others to have the joyful experience of learning to read and having their favorite books. 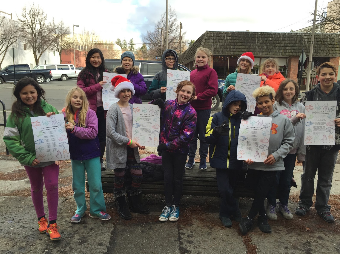 Fourth grade students, while learning about poetry through the Love that Dog module, students visited the local humane society and formed relationships with the resident critters. They wrote poems, which brought to life their adoptable animal alongside a sketch. Through a performance and fundraising event, they raised money for our humane society while also helping animals get adopted. Students demonstrated empathy for other living things and giving a voice to animals who do not have one. They saw the benefit of hosting a public event and practicing the art of public speaking. They demonstrated courage in the revision process while learning how to tap into their ability to write in different voices and share their work through public speaking. Students felt proud to speak in front of a big crowd and happy to help animals. In a 5th grade expedition using the Esperanza Rising Module, students gained an insight into the immigrant and refugee experience in order to cultivate understanding and empathy. Connecting their learning to one of our CREW traits of welcoming, students applied their learning to research ways to help immigrants and refugees feel more welcome. 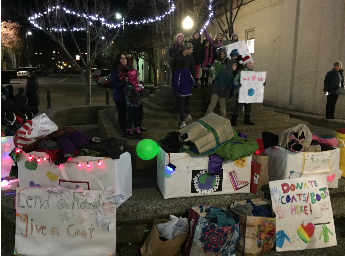 Students hosted a coat drive in order to help provide warm winter clothing to immigrants. They also wrote letters welcoming families to the Palouse region. Students connected empathy with the responsibility for learning by researching the countries that these immigrants are coming from and including information about our local area. They were able to think about this experience from another’s’ perspective in order to refine their writing to make it more compassionate. Middle School 6th graders learn the importance of water quality. 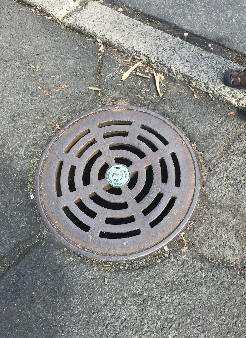 They provided service to the City of Moscow by marking storm drains to help educate the community on the impacts of pollution in stormwater runoff. 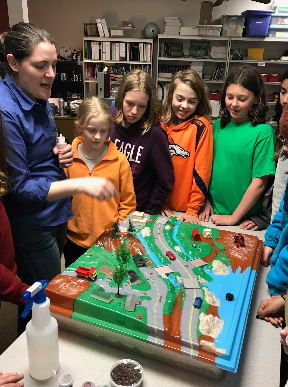 The students created a stormwater activity book for the City that can be used with the City’s stormwater model to help teach other students about how stormwater affects water quality. Students displayed empathy for younger learners by collaborating with younger grades in the revision process in order to make sure their work was accessible for their audience. Throughout a PPCS students’ career, they learn the value and importance of soliciting and welcoming diverse perspectives. Service creates a foundation for all students to be engaged and purposeful within their learning. Students strive to create their best work when they know it will help someone else. Palouse Prairie fosters curiosity about the world by creating learning situations that provide something important to think about, time to experiment and time to make sense of what is observed all the while helping out the larger community and making the world a better place. Our students consistently engage in work that has real value to our school community, our local community, and our world.